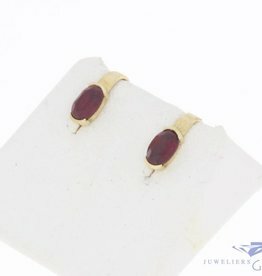 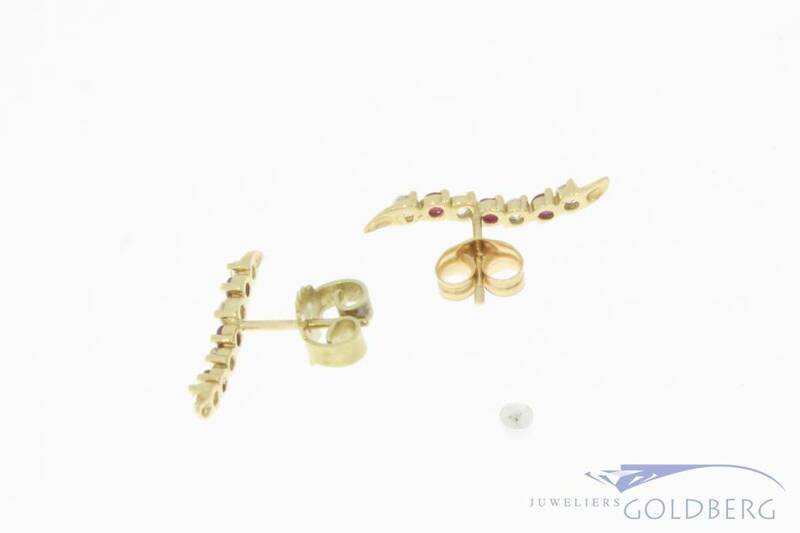 Beautiful and classic vintage 14 carat gold ear studs with ruby and zirconia. 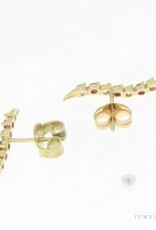 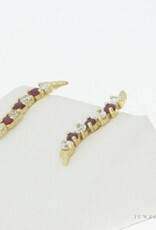 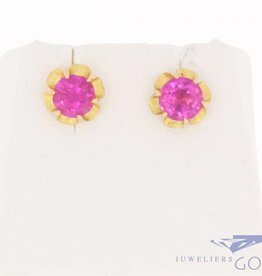 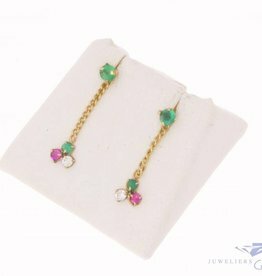 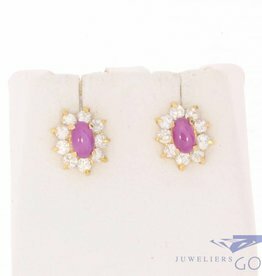 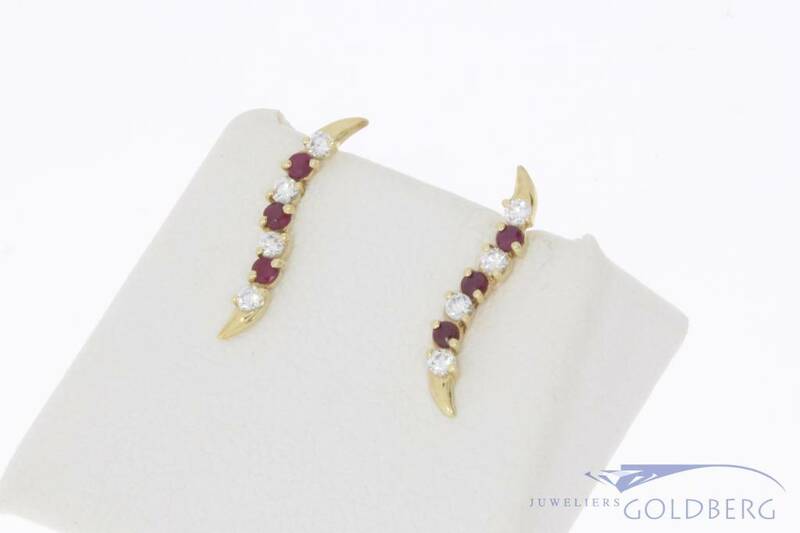 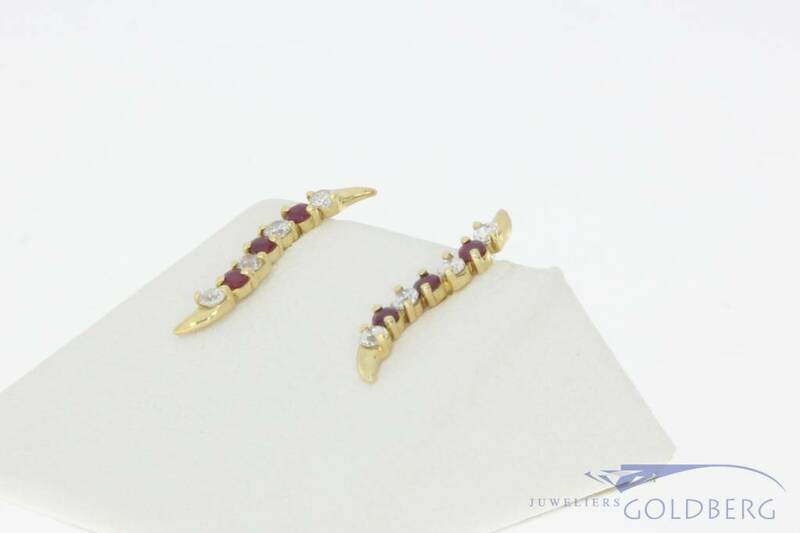 The ear jewels are in total inlaid with 6 rubies and 8 zirconia's. 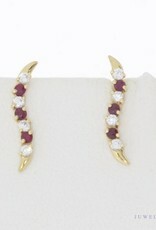 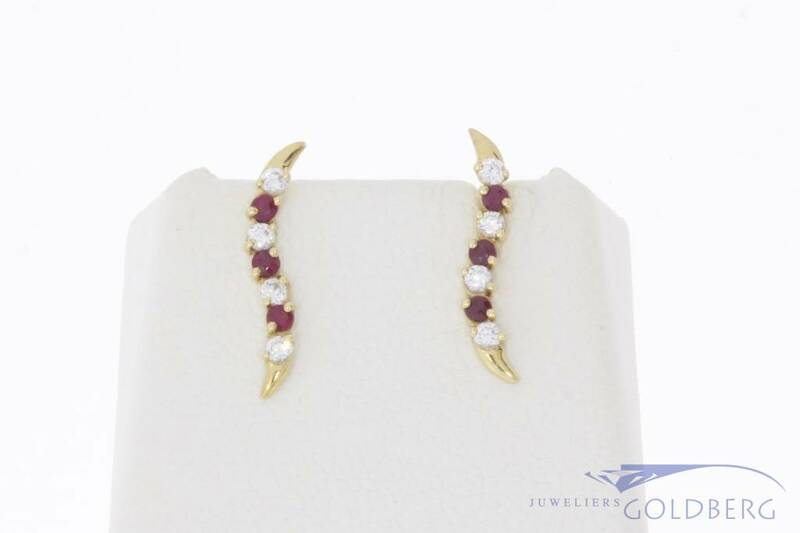 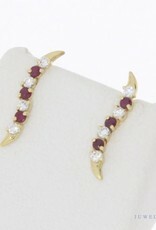 The length of the wavy ornament with ruby and zirconia is approximately 17.30 mm and the width is approx. 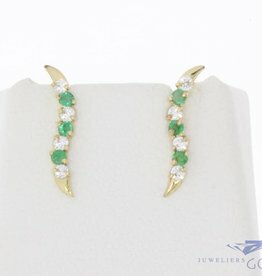 2.50 mm. 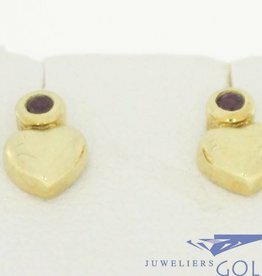 The total weight is 1 gram.